In ramping up its commitment to Software-Defined Networking (SDN), Brocade has unveiled the Brocade Flow Optimiser application and new SDN capabilities in Brocade MLX Series routers. In the New IP, the Brocade Flow Optimiser enables the network to play a role in understanding anomalous traffic patterns and behaviours, and flags them or takes action in real time. The Brocade Flow Optimizer is an SDN application that supports an OpenDaylight-based controller that provides real-time policy-based management for network traffic flows. When coupled with Brocade MLXe routers, the Brocade Flow Optimiser enables service providers and enterprises to gain proactive insight into their network traffic, mitigate network attacks, and eliminate network congestion, with the ultimate goal of improving the end user experience. 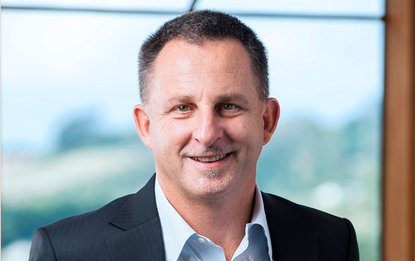 “With the introduction of the Brocade Flow Optimiser, Brocade is taking a concrete step to help its customers maximise the value of software-driven networks and increase network performance by mitigating network attacks and enabling policy-based traffic engineering,” says Andy Miller, Country Manager, Brocade New Zealand. Miller believes this release has the ability to introduce and enable SDN in the network with innovations like Hybrid Port OpenFlow and the Brocade Flow Optimiser. Miller says organisations operating in today’s New IP environment face increasing demands for cloud-based applications and need to support social, mobile, and Big Data initiatives. However, network performance combined with security-related attacks and breaches continue to impede delivery of services and create additional challenges to network and service reliability. “Service providers are facing threats to the sustainability of their businesses and must reconsider their business models and their approaches to network design,” adds Ray Mota, CEO and principal analyst, ACG Research. “Network intelligence is crucial for successful IP-based services and architectures. Brocade, a leading vendor enabling the New IP, is addressing this problem with its comprehensive and open SDN architecture. “The Brocade Flow Optimiser SDN application is a prime example of a solution that helps IT and telecom managers to more effectively optimise their networks.